Valentine’s Day is here ladies and gents and while I’ve never been a huge fan of Valentine’s Day like most people, I do respect what it represents; the love and time a relationship requires. One has to make their relationship a priority, and Valentine’s Day is the tangible manifestation of that – even if for only one day. But we here in Providence, Rhode Island – we have a slight advantage when it comes to a romantic Valentine’s Day date. Our beautiful city has been rated by Travel & Leisure Magazine as the best “Foodie” city in The United States! So if you want a great Valentine’s dinner, Providence is where you need to be. That said, here are my very proud recommendations for a romantic dinner in the charming and eclectic city of Providence, Rhode Island. Tall Dad and I are quite the foodies! 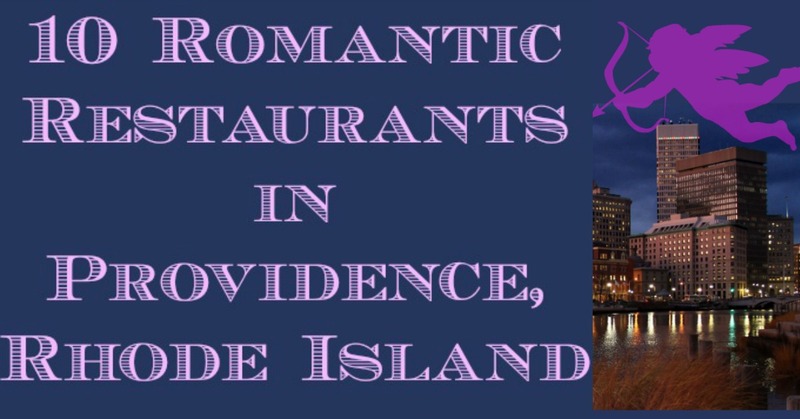 I hope you find this list of romantic restaurants helpful in creating a perfect date night in Providence! If you want somewhere beautiful, delicious, and that has fabulous cocktails and wine – look no further than Loie Fuller’s. This gem is situated on the West Side of Providence, and is a little ways away from some other restaurants of it’s same caliber. But that is not a bad thing. Inside, the building screams beauty – from floor mosaics to the perfect mood lighting from vintage sconces, to the various hand painted murals. The steak and frites are my favorite item on the menu – but really anything seems to please diners. Their meals and beverages are top notch. One thing to note – Loie Fuller’s does not accept reservations, so plan accordingly. Attire ranges from cocktail attire to dressy jeans and a nice top. Housed in the old Federal Reserve of Providence, The Dorrance oozes old school swankiness. I always feel like I’m in a Downton Abbey party when I go here. What’s more, if you are a cocktail drinker – then this would be my pick for you because it was recently reviewed as the best cocktail bar in the city too! You will feel as chic as can be inside this beautiful restaurant as creative and vintage beverages await you at the bar. Try the “Gods and Savages” cocktail. As for the food, the Short Ribs are spectacular. Attire is often semi formal (jacket and tie, dress or skirt) to business casual. But, in my opinion, I’d go in a dress. Cocktails, a delightful bar, and intimate dining await you at Broadway Bistro. The food is incredibly creative and changes with the seasons so I can’t recommend a particular dish. But the last time I was there I had a braised duck that literally changed my life. The atmosphere is very warm and inviting, the staff has always been personal and attentive, and the perfectly lit eatery is just the right fit for groups of two to four people. Attire can be business casual to dressy with dark denim. This is another place that doesn’t take reservations so plan accordingly. Gracie’s is not only delicious, but it has the most fabulous wine selection in all of Providence. It feels like a downtown New York restaurant that has been mysteriously transported to little Rhody. The decor is extraordinarily stylish yet surprisingly comfortable and the food presentation is impeccable. I really like this place, mostly, because the staff genuinely wants you to enjoy your dining experience. The wait staff will easily guide you through the extensive collection of menu options, which often include wine pairings, and the pace of dinner is comfortably slow – so you can truly savor each moment. Another great place for duck – but the swordwish is simply delectable. Small to large parties are welcome here, and attire is often business casual to dressy denim. Maybe you and your date have a sweet tooth, or are planning a romantic mid-day date. My top choice would be the Duck and Bunny. This venue is actually a snuggery, and even though I’ve never heard of one before, it truly fits the bill. They serve small bites, crapes, teas and various wines or cocktails. But there crowning jewel are their cupcakes. They have mini ones, and larger ones, all of which are made fresh and fit any kind of taste for the occasion. I suggest getting a pot of tea and splitting a couple of cupcakes between the two do you. Do not leave without trying the Mocha w/Espresso Buttercream. Attire varies between business casual to regular casual. Are you in the mood to recreate the romantic scene from lady and the tramp? Craving some good Italian food or pasta for your date? Well then you are a reader after my own heart. There are several outstanding places to eat Italian food in Providence, but if you are looking for somewhere romantic as well as Italian – my choice would be Pane E Vino. I think this place is a bit underrated compared to some of the nearby bustling Italian restaurants on Federal Hill, but honestly that is something for which I am thankful. I never have extraordinarily long waits, and the volume is never overbearing like some of it’s nearby counterparts. Pane E Vino is well lit, quiet, and even opens up to the street if that’s your thing. The service and food are both fantastic, and they also serve scrumptious deserts. Look out of the veal meatballs or the pork shoulder for a dinner and you MUST try the bread pudding for the sweet cap. It’s unreal. The ambiance is warm and inviting, and the attire is generally semi formal to business casual. If your Valentine’s Day involves taking your kids, or if you are having an in home date- I would highly suggest stopping by Gregg’s and picking up one of their chocolate layer cakes. Their cake is my favorite – always moist, fresh, and huge servings. Pick up a couple of slices or even a whole cake. It sounds silly, but sometimes my idea of a romantic night is staying in my pajamas and watching a great movie with my hubby. But the extra special in-home date nights have cake! This cake is so special that even President Obama stopped by to have some. This is where many of Providence’s elite go to eat. Another fine Italian eatery that is locally owned and operated. It’s very hip, and very expensive. But, many will wait for hours just to get a taste of it’s famous grilled pizza. And, honestly, it’s worth it. If you’re looking to impress, check this place out. It’s best suited as a business casual style restaurant, but you can dress it up and not feel out of place. Make sure you check out the hot chocolate. It’s literally melted chocolate in a cup and it’s glorious. Truly an “East Side” gem, Chez Pascal offers comfort, class, extensive service, quiet atmosphere, and unbeatable taste all in one package. Oddly enough, they specialize in specifically all kinds of Wursts in the day, and they turn into a fantastic French restaurant during the evening. Once again, this is a place you go to get a European style dinner where three and half hours go by and you’re just beginning your desert. The staff is quick and attentive, but NEVER pushy. The menu changes with the season, so it’s hard to recommend something but I last had the Grilled Leg of Lamb with Goat Cheese Potato Gratin. It was to die for. Wear a nice dress or cute top with dressy pants. I LOVE New Rivers. Again, another hidden gem on the East Side. Well, I can’t say it’s a “hidden” gem because it’s always so freakin’ busy – but real foodies go here. It’s not a place to be seen just to be “seen” if you know what I’m getting at. The staff and chefs truly care for their craft at this place, and the quality speaks for itself. Fancy, but not pretentious, New Rivers is very small but offers American style food in one of Providence’s oldest buildings. The bar is rarely accessible, but when it is, make sure you sit there for amazing attention you will receive. Have a question about a drink or wine? The bartender will make sure you understand every facet that you care to know about. Be sure to try the smoked mussels, or the Rabbit dish. You like deserts? Oh boy – Mint Brownie with Salted Caramel Ice Cream. Yup – it’s as good as it sounds. Do you think I missed a restaurant? If so – leave it in a comment below! Loie Fuller is a jewel.Small menu however with great profundity of choices.Try the "smoke of the day" –really great.Service was mindful without being meddlesome.Have a drink at the bar before dinner; you won't discover numerous like this in the state. We flew home to book this venue in June last year. Absolutely loved it here and I'll be certainly waiting to go back there for more events. Regardless of the time of your event, you always get the same thing at venues for events: reasonable drink prices, great decoration, & friendly staff.